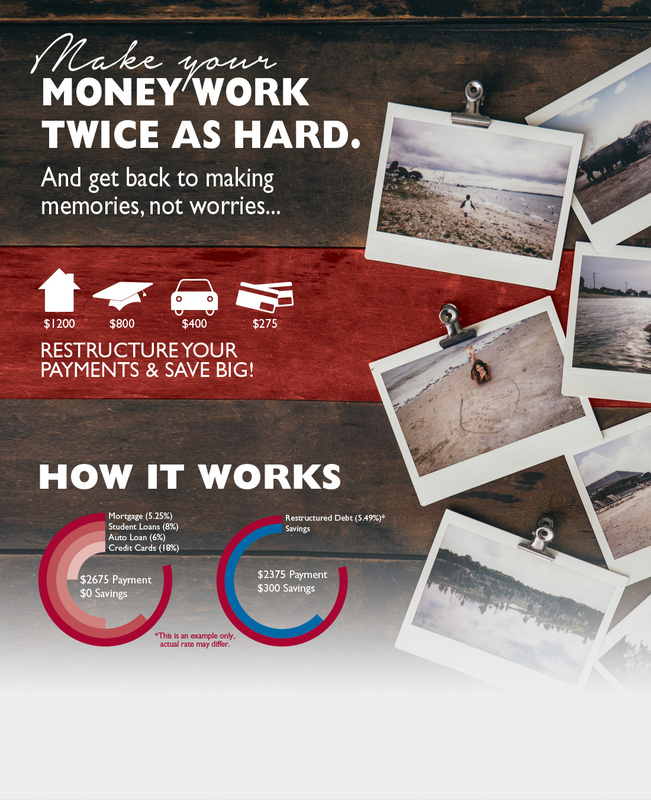 AmeriChoice Federal Credit Union will help restructure your debt, capitalizing on a lower interest rate. Our FREE Personal Financial Analysis can help you be debt free much sooner than you thought possible AND in most cases, end up with a sizable nest egg in a savings account. You continue to pay the amount you were paying before, but now since your restructured debt payment is lower, the extra will go into a special savings account. Our Personal Financial Analysis is a free service so you have nothing to lose! All you have to do is give us the opportunity... if we can help put you in a better financial position than you are today, we'll let you know. But if we can't, we'll let you know that too. Of Your Debt And Secure Your Financial Future. It is understood that there is no obligation for this analysis. I understand that by transmitting this profile information to AmeriChoice Federal Credit Union I am authorizing said to request a credit report as part of my analysis. I understand that this process does not result in the submission of an application for credit. There is no obligation on the part of AmeriChoice Federal Credit Union to provide credit. The purpose of this Personal Financial Analysis is only to provide me with an analysis of my current financial situation. By typing my name below, I have read the disclaimer above, and verify that I am who I claim to be. You must qualify for membership and become a member of the credit union to take advantage of this offer.